My heart bursts open – a great image of what joy feels like. A belated Happy Birthday and a prayer for a joy-filled year to come. Thanks for another great post. It’s good to have those joy-filled moments to remember, but as you said, what Jesus did for us on the cross for us eclipses all the other moments put together. And this joy will never be taken away. Indeed.. Jesus’ gift of salvation and his triumph has got to be the greatest joy of all!! Thanks for sharing those moments with us – and the greatest joy of all. How fitting that I’m reading your article on Good Friday. I love the way the NLT puts that verse you quoted. Awesome. I’ve said it before: happiness depends on happenings, but our joy depends on Jesus. He’ll never desert us, no matter how our circumstances change, so our joy can be constant and complete. Thanks Traci, Your encouargement means a lot to me. You are right, the true source of joy should come from our position with God even if we have a blessed life. Perfectly written! Wonderful reminder. 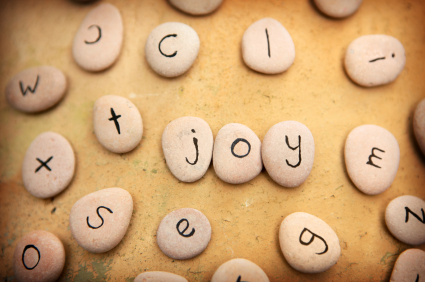 During those times when everything seems to be going wrong, we’ve still got that joy, joy, joy, joy, down in our hearts! Thanks, I appreciate the specific nature of your reply, Sandi. Always helps to know what touches people’s hearts the most. Happy Birthday to You-o-o-o. Our modern world, by seeking momentary happiness instead of true, lasting joy, overlooks the God’s greatest gift. Good post. Definitely a nice conglomeration of joy-filled moments. Great verse “You thrill me, LORD, with all you have done for me! I sing for joy because of what you have done.” He is the source of all of our “Joy-Filled Moments’ Nice post and belated Happy Birthday!